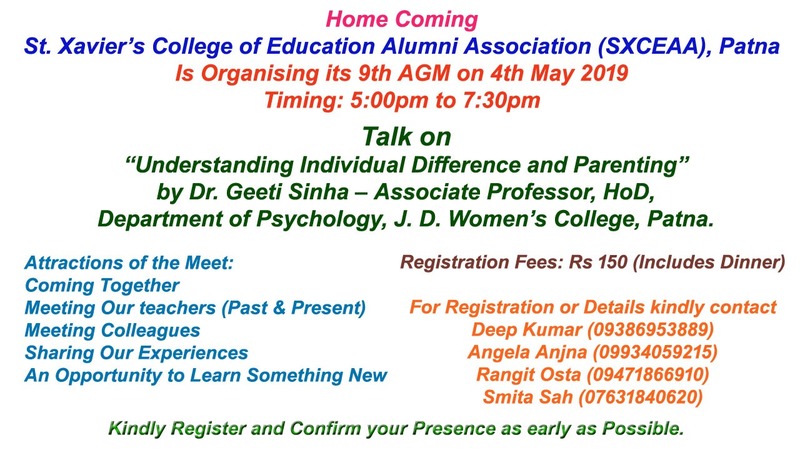 St. Xavier's College of Education is an unaided Christian Minority Institution established in 1988 and managed by the members of Patna Province of the society of Jesus. The Society of Jesus, founded by St. Ignatius of Loyola in 1540 has been active in the field of education throughout the world since its inception. In India alone the Jesuits are at present responsible for several top	- notch colleges, management institutes, teacher training institutes, technical institutes, social institutes, centers of scientific and historical research, centers of inter-religious dialogue, higher secondary,secondary and primary schools,& hundreds of non-formal education centers. 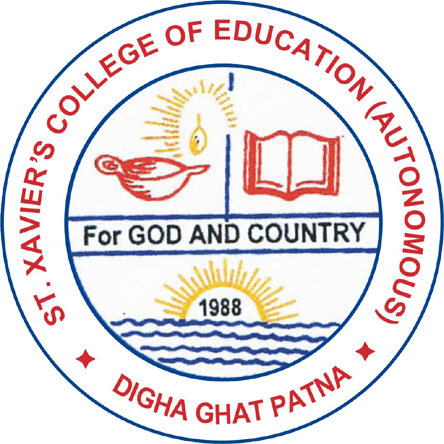 St. Xavier;s College of Education is a co - educational institution with permanent recognition from the government of Bihar, permanent affiliation from Aryabhatta Knowledge University & permanent recognition from the National Council for Teacher Education (NCTE), accreditation from the National Assessment and Accreditation Council (NAAC) with 'A' grade, and recognition from UGC under 2(f) 12B of UGC act 1956. Though the college was founded with the primary object of providing teacher training in a Christian atmosphere for deserving students especially those belonging to the Catholic community, it does admit other students irrespective of caste and creed.However,this being a Catholic college its goals and activities are pervaded with a strong sense of God who alone gives meaning to life. The various religious beliefs of students are fully respected.Since the inception of the college, it has grown with clear focus in quality & excellence. ERC NCTE Public Notice 7th Dec, 2017....Click Here! 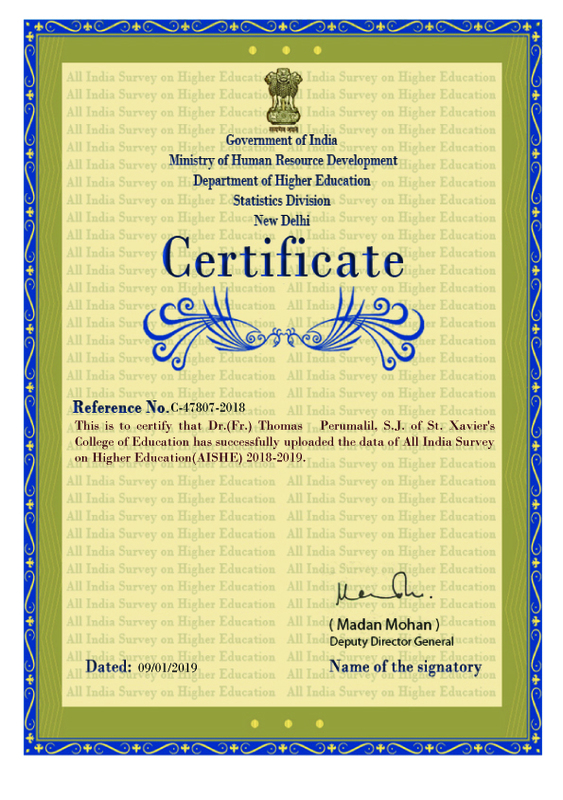 National Institutional Ranking Framework (NIRF)...Click Here!